Let’s talk ideas. Writers are often asked where they get their ideas. Do you have a quick and ready answer? If so, I’m envious, because I certainly don’t. My first two novels were heavily influenced by external feedback. I listened to everybody. The result? Two books reflecting little of my original story vision. 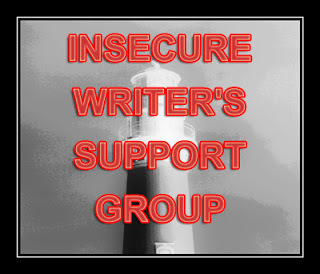 That’s the price of insecurity and why I wrote my third novel in a vacuum. With my third book, I began with an idea and let it play out on the page. The sole feedback came from a trusted critique partner who saw only the earliest draft chapters. While the manuscript is enormously flawed and may well be unpublishable, it stands as my most fulfilling writing experience. I didn’t compromise. I told the story I wanted to tell, and it felt amazing! Unlike some of you, I don’t have an endless supply of ideas. For the type of stories I write, predictability is the kiss of death, and it’s the element of surprise I reach for first when brainstorming an idea. I intended my next project to have a historical setting and spent countless hours studying documents from the University of Virginia’s Salem Witch Trials Documentary Archive (an amazing resource for anyone interested in the 1692 trials). I had several transient ideas, but nothing stuck. For the life of me, I couldn’t find an untrodden path into story. There are so many books dealing with the period, fiction to nonfiction, pulp to literary, every storyline felt derivative. Then, a stroke of serendipity. I ran across the photo below (click on the image for a better view). It shows the devastation wrought by the Great Salem Fire of 1914. The fire started at Korn Leather Factory located, coincidentally, right next to where the nineteen innocents convicted of witchcraft were hanged in 1692. Three days after the fire, as the embers still smoldered, the story of the conflagration was forced from the headlines by the assassination of Archduke Ferdinand. A month later WWI was off and running. During the blaze, more than a third of Salem burned, 10,000 people lost their jobs, and upwards of 20,000 their homes—the population at the time was near 48,000. (Today, it’s around 42,000). Here was a backdrop I could sink my teeth into. Instantly the main characters were in my head and with them, a story idea with traction. Yay! How are you with ideas? Do they come easily, or are you like me? One of the great things about blogging the third Monday of the month is that I always get to post on Martin Luther King, Jr. Day. Here in the US, we celebrate the birthday of Dr. King as a day of service. And just as I do every year, I encourage you to visit mlkday.gov, click on Find a Volunteer Opportunity, type in your zip code, and find a project that interests you. Become involved. Be a voice in your community. Make January 16 count by honoring Dr. King’s legacy and holding tight to his message. I get a lot of ideas, but the problem I have is picking the ones that I can stick with for enough time to write a novel. Maybe letting them develop long enough to turn into that kind of idea. Good point, Karen. One has to be truly captivated by an idea to stick with it long enough to write a novel. For the life of me, I can’t come up with a story idea until characters show up. Your Pearl B. is a wonderful protag, so authentic and real on the page. That photo shows such devastation. So sad, but a great story sparker. My ideas come from a variety of sources, but they aren’t sparked quickly. I think most stories are inspired by more than once source. The best big idea is often a combination of a bunch of tiny ideas. I often wonder what Dr. King could have accomplished had he been allowed to live out his life. For me, ideas come from everywhere. Honing them into a story… That can take some doing. True, Liz. A story idea is no more than a direction to aim our pen. No guarantee we’ll hit the target. Hi V.R. I am a powerhouse of ideas, which is not necessarily a good thing. I want to chase those bright, shiny things and not let them go. Not a good idea if I’m ever going to finish anything, which is why I’m studiously powering on with my Paris novel and trying to ignore those bright butterflies. Not long ago, I saw The Crucible performed live for the first time. So powerful—a story of societal fear overwhelming logic and clear thinking. Not unlike the atmosphere in the U.S. at the moment. Sorry, Denise, I didn’t mean to slide into the political. I remember the resistance to a day honoring MLK Jr. Glad it finally went nationwide. Ideas come to me in a few ways: A “what if” situation, an unusual character, and greed. Sometimes I can incorporate all three in the story, but none of those things write the book. That’s on me and my concentration and motivation, both of which have been sorely lacking lately. I recall the opposition to the holiday, too, Polly. I think there’s still some resistance, and I admit I cringe at the states that have combined commemoration of MLK’s birthday with that of Robert E. Lee. At the moment, I’m motivated to research and take notes. I haven’t written a single word of story, but I’m hopeful. I didn’t know that, but I looked it up. Alabama, Arkansas, and Mississippi. Not surprised. My ideas come from what-if scenarios and a wild imagination. If they fly too far from reality I jump in to the fantasy genre, otherwise I stick sleuths and soft crime fiction. Reminds me of when I listened to R.L. Stine speak once. He says he gets this question the most, and one time an entire school class literally had every single student ask him the same question at a book signing. He took it in stride and likes to joke about it now. That’s funny, Mark. The poor man! Although I would rather be asked where I get my idea then have someone tell me what I should write about. Love looking at old photos and that one of the fire is a gem. I do get ideas from all over the place: a what-if comment from my husband, an article in The Atlantic, a daydream, an actual nighttime dream, driving down the highway. I just need to stop messing around and write. Um…yeah. So true, Tamara. It doesn’t matter how great the idea if it never makes it on to the page! It’s so cool how different everyone is. For me, ideas are like air. Mom used to come to me for ideas on EVERYTHING: What do I get so-and-so for their birthday? How should we decorate this room? What do you think would work to teach my class this concept? If I EVER write all the story ideas bouncing around in my head, it will be a miracle. Honestly, I probably just need to hand a few off to others who are searching for inspiration. I’m envious, Crystal, but it must be hard to choose between all those ideas. Obviously you can’t write them all that same time. It must feel a little like showing one child preference over another.